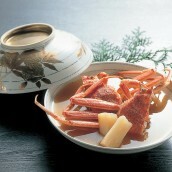 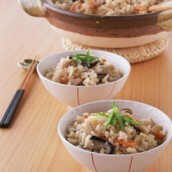 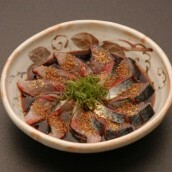 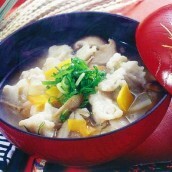 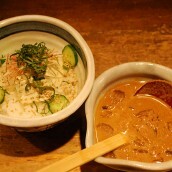 One of the local food to which the Physiculus maximowiczi soup is necessary in Tohoku-district. 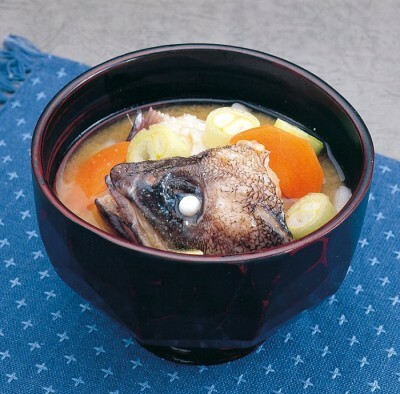 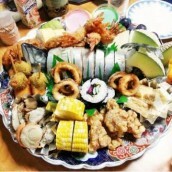 When season is met time cold for winter, there is a custom that I make the Physiculus maximowiczi fished in the Sanriku area in the Pacific Ocean side mainly a pot and soup and eat. 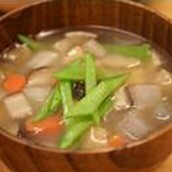 The food texture not to be pleasant to the eye but to be light is characteristic, and fat pervades soup stock and vegetables.